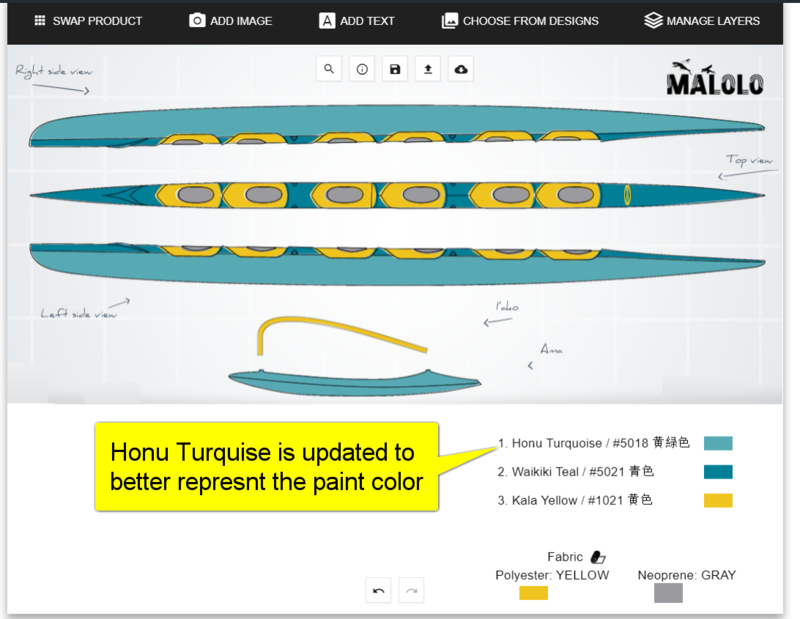 Honu Turquoise RAL# 5018 has been updated. The paint is the same, the code is the same, however, the designer was showing a color that was not true to the paint, which is now updated to represent #5018 closer. Also, Neoprene color options have changed. Neoprene is only available in Black or Gray.